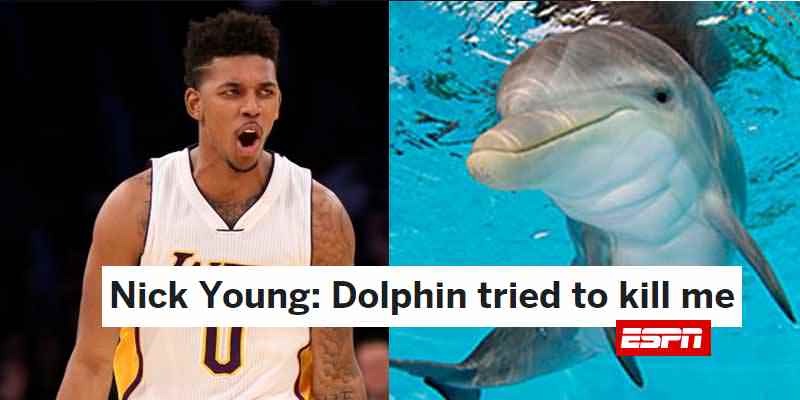 Eyebrows were raised when Iggy Azalea, Nick Young’s girlfriend at the time, tweeted that Swaggy P was afraid of dolphins. When reporters asked him to elaborate, he recounted a near-death experience involving a dolphin in Cabo San Lucas, Mexico. Young said the dolphin took others around in circles but didn’t do the same when it was his turn to interact with it. Young overcame his fear over 2 years later, but who else do you know who’s scared of dolphins?